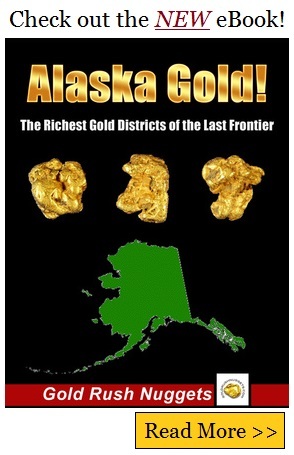 It was in 1869 when the first significant discovery of gold was made in Juneau. In 1872, another gold deposit was made along Stikine River tributary, triggering a rush that resulted in the formation of Cassiar Gold District. Gold was first found by Harrisburg and Joe Juneau, two of the first prospectors to the area. The town was first called Harrisburg, but was renamed Juneau. At first, there were less than 50 miners, but within a few months, the population grew tremendously with more people flocking to the area in search of jobs and livelihood. In one year, it had grown from a camp to a small town. Although placer deposits were found in many of the waters around Juneau, the Cassiar Gold District was primarily a lode producer. In 1881, the stamp mill was built in Silver Bow Basin. The Treadwell Mine owned and managed solely by John Treadwell, was one of the major producers in the area. It was almost always the first company to employ new advanced strategies in mining, giving it a head start on its competitors. The company owned four mines and five mills in the mountains around Juneau. The Alaska Mill and Mining Company was established in 1882, and was also a major player in the industry. It started with a five-stamp mill, with a second and third mill brought in by 1887. Many lode mines were located on Douglas Island across the channel from Juneau. Between 1890 and 1915, smaller mines including Crystal, Comet, Sumdum Chief, Eagle River, Silver Queen and Jualin mines. By 1917, most of the small mines folded up. Treadwell Mine also halted all operations after a cave mine which resulted in flooded mines. High cost of operation along with various challenges associated with lode mining halted many of the operations around Juneau. Post-war inflation brought about increased operational costs that many companies couldn’t meet and therefore closed. Until its closure, the Alaska Juneau company had produced 2.9 million ounces in gold, 1.9 million ounces of silver, and 40 million pounds of lead. Efforts to re-establish mining in Juneau still continues to date. Today, there are many active mining operations around Juneau, and there are still rich ores being extracted from the mountains around town.